This book is the first in a set of forthcoming books focussed on state-of-the-art development in the VLSI Signal Processing area. It is a response to the tremendous research activities taking place in that field. These activities have been driven by two factors: the dramatic increase in demand for high speed signal processing, especially in consumer elec- tronics, and the evolving microelectronic technologies. The available technology has always been one of the main factors in determining al- gorithms, architectures, and design strategies to be followed. With every new technology, signal processing systems go through many changes in concepts, design methods, and implementation. 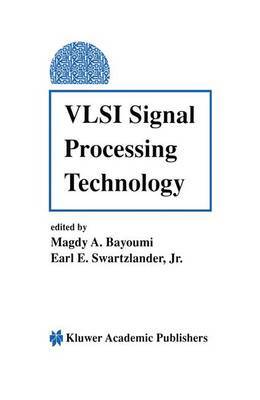 The goal of this book is to introduce the reader to the main features of VLSI Signal Processing and the ongoing developments in this area. The focus of this book is on: * Current developments in Digital Signal Processing (DSP) pro- cessors and architectures - several examples and case studies of existing DSP chips are discussed in Chapter 1. * Features and requirements of image and video signal processing architectures - both applications specific integrated circuits (ASICs) and programmable image processors are studied in Chapter 2. * New market areas for signal processing - especially in consumer electronics such as multimedia, teleconferencing, and movie on demand. * Impact of arithmetic circuitry on the performance of DSP pro- cessors - several topics are discussed in Chapter 3 such as: number representation, arithmetic algorithms and circuits, and implementa- tion.